GLOVES, HART, non-sterile latex gloves, large, 2 pair per unit. 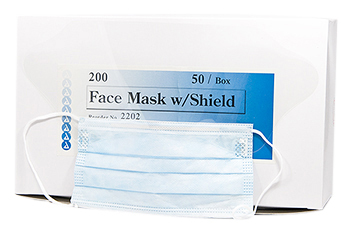 Made of specially engineered synthetic material which offers excellent sensitivity. 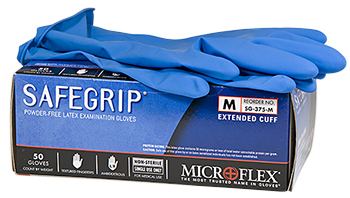 Vinyl exam, extra large, ambidextrous, 100 gloves per box. The SafeGrip glove has an extended, beaded cuff for greater protection over the wrist and arm. 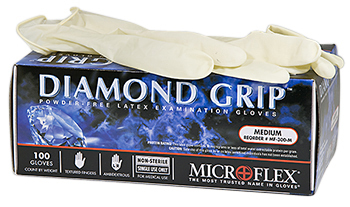 For added protection in high-risk situations, the SafeGrip glove is thicker at the fingertips, where you need the greatest protection and durability.. Blue Latex Gloves ,Diamond Grip, MicroFlex, latex, 7.7mil, non-sterile, extra-large, 100 per box.